As another icy Beijing winter beckons, NUO has prepared a feast of activities and delicious culinary surprises to warm you up. Celebrate the holidays in style with NUO Hotel Beijing. 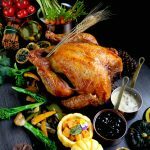 Live carving stations present traditional Thanksgiving roast turkey, paired with a deluxe range of international gastronomy. 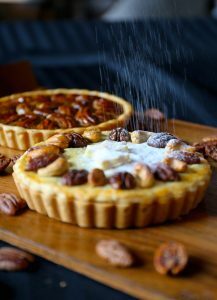 Mark this holiday period of reunion and togetherness with one of our delicious culinary events, featuring delectable American-inspired dishes and NUO’s famous hospitality. Prices are subject to service charge and tax. For more information or to make a reservation, please follow our official WeChat account “nuohotelbeijing” or call +86 10 5926 8281. Indulge in a seasonal box of edible winter goodies, courtesy of U’Deli. Perfect as a festive gift for family, friends and colleagues this holiday season. For more information, please follow our official WeChat account “nuohotelbeijing” or call +86 10 5926 8281.